L.C. 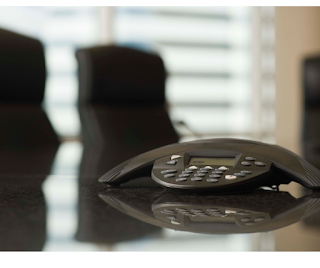 Williams & Associates: Leading Effective Conference Calls – Grab your pen and paper! Leading Effective Conference Calls – Grab your pen and paper! We work with clients and partners across time zones and continental divides, but even if you spend the majority of your work day talking with people within feet of you, some good conference call tips may someday be helpful. Our client and partner projects often necessitate formal conference calls with far-flung individuals who work together to achieve a shared goal or simply need to be informed of status updates or action items. As an agency lead, managing such calls involves a certain style, not to mention internal preparation and follow-through. Prepare Fully – I like to devise a call agenda for myself 24 hours in advance. This gives me time to think about what else may be missing and to check on others’ progress, as many projects have moving parts, and not everyone involved may be on the call. It is also imperative to prepare a more top-line formal call agenda, which should be proofread and shared at least an hour before each call if you are the lead. Know Your Audience – Take note of any call invitations that have been transmitted to others or simply forwarded outside of your organization. It’s important to know with whom you’re speaking so any conversational banter before everyone joins is still personal and tailored. Share the Voice – Everyone on the call should have a voice and deserves the full attention of other participants. To ensure participating team members have an opportunity to talk, designate topics or updates for them to own well before dialing in. Respect Others – Be punctual, be polite and be organized. This shows everyone involved that you respect their time as much as your own. Send a thank you email, when appropriate, to all participants too. Outline Next Steps – If action items are not abundantly clear from the call, consider compiling a short list of action items along with those individuals responsible for their follow-through. For more formal discussions, call minutes may be warranted. If so, designate a formal note-taker ahead of time, and make a point to draft the minutes immediately following the call. Set What’s Next – If the conference call is a not on a regular, fixed schedule, set in advance when the next call will be and send appropriate invitations early so that people can plan their schedules. Since many meetings are virtual, it’s helpful to have these best practices in mind, whether you’re speaking with a large group of professionals you’ve not previously met or are hosting a weekly roundtable via phone. I hope you’ll find them helpful too.